Hello, and welcome back to the Calendar! It’s Mother’s Day weekend, folks, so you know what that means: flowers and lots of them (and lots of shame if you haven’t already planned something for your mom). 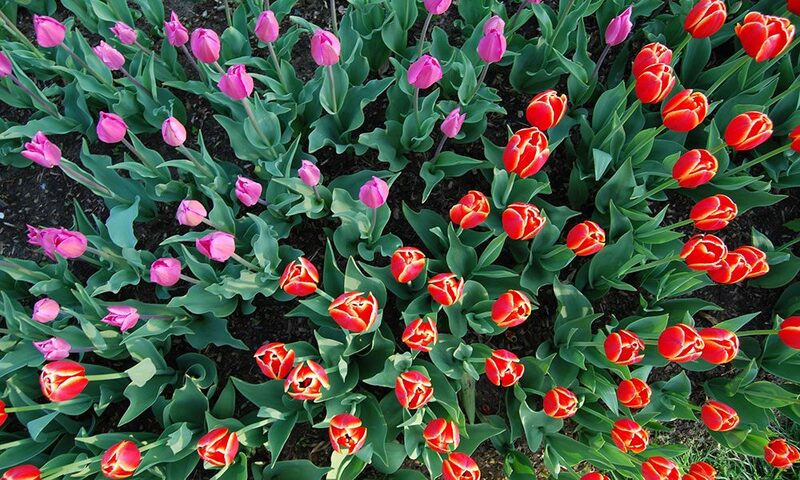 Keeping that in mind, saratoga living‘s top event for this weekend is the Albany Tulip Festival! Even though it already feels like summer (and boy am I sweating), nothing says spring like the tulips. Albany’s two-day Tulip Festival is the Capital Region’s premier springtime event, and it just so happens to fall on Mother’s Day weekend this year. For more than 70 years, the Festival has celebrated the Capital’s Dutch heritage as the oldest Dutch settlement in the Americas and the longest continuously chartered city in the U.S. (sorry, New York City—aka New Amsterdam—but Albany was established a solid decade before you). Tulip Fest even kicks off with groups of girls in wooden clogs and traditional Dutch dress scrubbing the streets clean in preparation for the festivities (which should, given that it’s Mother’s Day weekend this year, be done by the boys in the family). Friday, immediately after the street scrubbing, you can head over to the Albany Hilton and enjoy the Tulip Festival luncheon. On Saturday, you can witness the coronation of this year’s new Tulip Queen. The procession will begin at 11:45am from the Washington Park Formal Tulip Beds by the Moses fountain. The actual coronation happens at noon at the Lakehouse Stage, and then will be followed by the Royal Tulip Ball at 6:30pm at the Albany Capital Center. The Tulip Ball is an elegant affair with live music that honors the new Tulip Queen and her court. All proceeds benefit Capital City Fund. And on Sunday, Tulip Fest will announce the 20th Annual Mother of the Year award. On top of all this, the festival offers live musical performances all weekend, lots of children’s activities and, of course, over 100,000 tulips freshly in bloom. So if you’re still trying to figure out what to do for Mother’s Day, you might want to check out this list of other events going on that your mother might like. Mother’s Day Tasting – Adirondack Winery is offering a wine tasting all weekend long; bring your mom in for 10 percent off all wines and accessories at two locations: 285 Canada Street, Lake George and 4971 Lake Shore Drive, Suite 2, Bolton Landing. Lucia Boutique – join the staff of Lucia as they celebrate 12 years of business. Twenty percent off any purchase, plus exclusive giveaways with every purchase, including complimentary cocktails by Sinclair Saratoga, as well as handcrafted mini donuts by Comfort Kitchen – 454 Broadway No. 8. Salsa Dance Night at Proctors – if your mama likes salsa then prepare to dance your feet off with Alex Torres and his Latin Orchestra; there’s a 30-minute dance lesson included with ticket – 6:30pm Proctors Theatre, 432 State Street, Schenectady. Check out a Pop-Up Art Show on Beekman Street in Saratoga Springs from 5pm to 7pm. A variety of shops in the arts district will be featuring visiting artists and serving refreshments. Annual Audubon Bird Walk – honoring the legacy of Pulitzer Prize-winning poet Edna St. Vincent Millay, the Audubon Society is conducting a relaxing bird walk at Steepletop, the farmhouse home of Millay – 440 E Hill Rd, Austerlitz. Apple Blossom Festival – a day-long, family-friendly event that includes, hayrides, dances, kite flying and more, brought by the Mohawk Towpath Scenic Byway Coalition – 10:00am to 4:00pm at Riverview Orchards, 660 Riverview Road Rexford. Saint Brunch Cruise – moms sail for free on a Champagne Brunch Cruise aboard the Lac Du Saint, complements of the Lake George Steamboat Company – 12pm to 2 pm, Beach Road, Lake George Village. Mother’s Day Dance & Drum – Rural Soul Studio is celebrating Mother’s Day with West African Dance and Drumming Classes with M’Bemba Bangoura (Guinea, West Africa) and New York City’s Wula Drum Director Michael Markus. Come drum with your mother – 90 Broad St., Schuylerville. Gospel Sing & Strawberry Shortcake Social – come to Caffè Lena for this free event celebrating moms on their special day, live music by the Lost Radio Rounders – 47 Phila Street. Indigo Girls – the famous folk duo will be playing at 8pm at Arthur Zankel Music Center – Skidmore College, 815 North Broadway. Dona Nelson: Stand Alone Paintings – opening at the Tang Museum of a new exhibition on American abstract painter Dona Nelson, from May 12 to August 12— Skidmore College, 815 North Broadway.